White linen straight shirt (cămașă dreapta) with no collar. White pieptar, edged with brown leather applique. Wide linen trousers called gaci, worn in spring and summer. Felt trilby style hat. Peasant sandals (opinci) worn with footwraps (obiele). 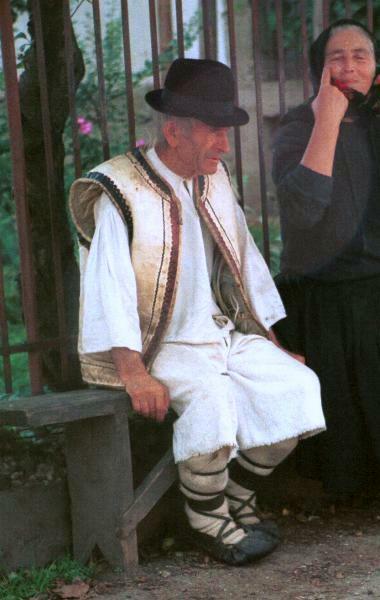 Photo taken on a Sunday in Bogdan Voda, August 1997.